Are you in the market for lawn care services? Have you searched for the best lawn care services near me? That’s a common way for a lot of people to begin their research on finding a lawn care company. If you have, then you already know that you have a lot of choices. 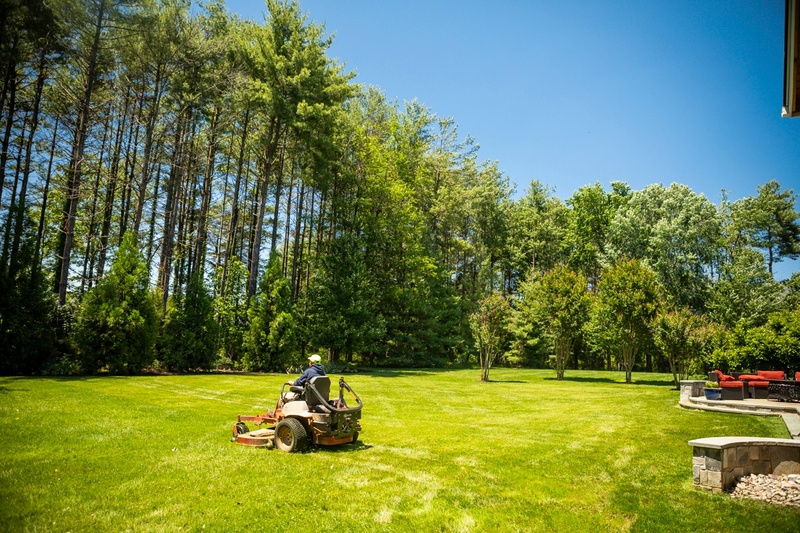 There is no shortage of companies offering lawn care services in the Northern Virginia area and that can make it difficult to find the one that’s best. With so many companies offering similar services, you may even be wondering if all lawn care companies are the same. The truth is, they’re not. Companies can differ dramatically and because of that, so can the results that you receive. If you’re investing in lawn care, you want to be able to feel confident that you’re going to get great results—not mediocre ones and certainly not ones you could have achieved on your own. That’s why you want to know what sets these various companies apart—so that you can make a wise decision. We understand that you want to make a good choice when it comes to your lawn care. We also know that we have quite a bit of worthy competition. That is why we’ve rounded up some of the top names and what you should know about them. As you perform your search and try to narrow down the competition, you’ll likely want to come up with a list of several companies to compare. Here are some companies that are likely to make your list. 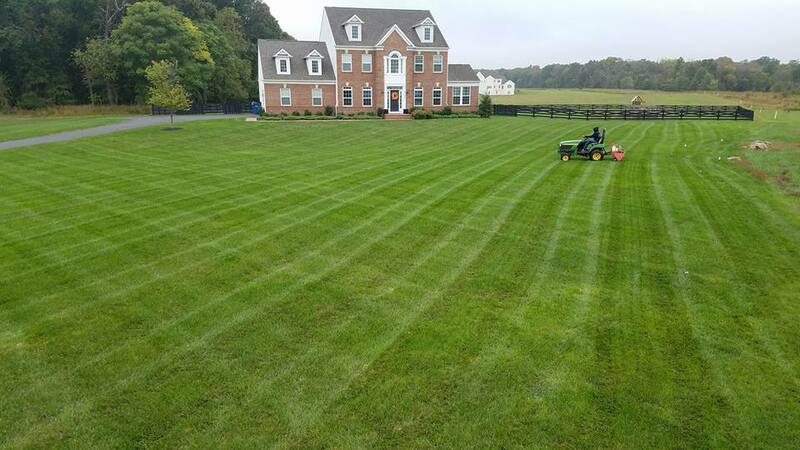 Based in Sterling, VA., this company firm specializes in residential lawn mowing, lawn fertilization, and landscape cleanups. According to their website, they perform both residential and HOA work. Pro-Mow offers residential and commercial lawn care services including mowing, mulching, perimeter pest control, leaf removal, and more. This locally owned and operated business was founded in 1990 and talks a lot about community involvement, something we respect. 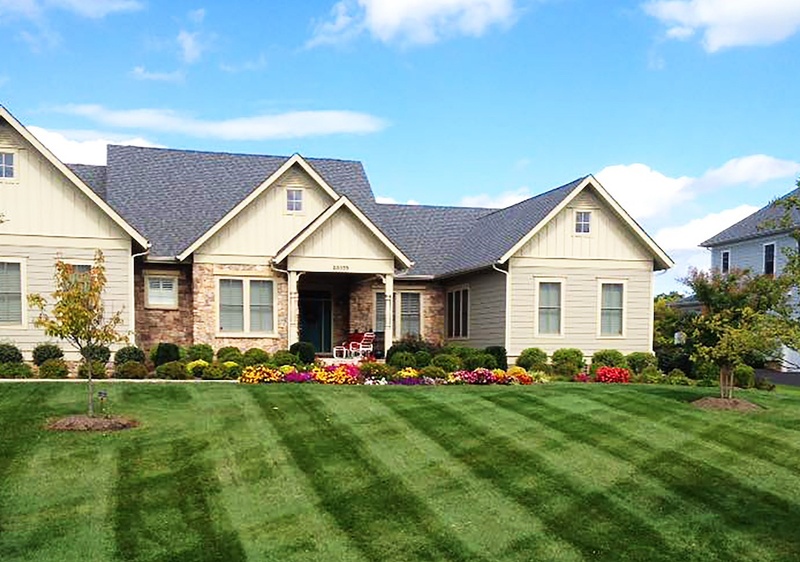 Your Landscape Partner offers a variety of lawn and landscape services, including landscape design and construction. According to their website, they offer their services for both commercial and residential clients. The company was started in 2005. 4. Cedar Run Landscaping Co. 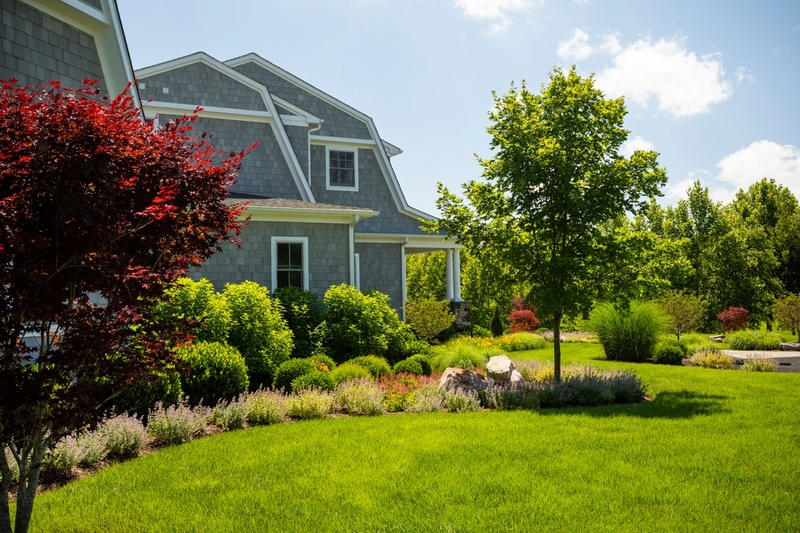 Started in 1996, Cedar Run Landscaping Company offers both commercial landscape design/build work and maintenance as well as residential design/build and maintenance. The company also offers snow removal services. 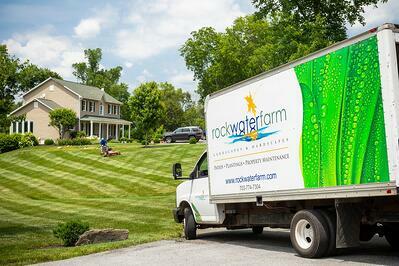 Of course, we also hope that you’ll add Rock Water Farm to your list of the best lawn care services in Ashburn, Aldie, and Leesburg, VA. Rock Water Farm Landscapes & Hardscapes was founded in 2005 by Todd Thomasson. With a degree in Landscape & Turf Management from Virginia Tech, Todd was eager to put his training into action in helping to create and maintain the outdoor spaces of homeowners’ dreams. In terms of our lawn care programs, we offer 3 options which allow us to offer tiered programs based on the needs of our clients. The next tier program, Plus, includes aeration and overseeding and the top option, Premiere, also includes a weekly mowing service. There are some very rare circumstances where a lawn may need gypsum, disease control, or a treatment for a particular invasive grassy weed. However, these aren’t common. We don’t believe in nickel and diming customers for services that we already know they need. But a lot of lawn companies do just that. For instance, they’ll make you pay extra for grub control despite the fact that it’s an incredibly vital service that should not be skipped. That’s because if grubs take hold of your lawn they will cause costly damage that isn’t easy to repair. We don’t play games— we just do what we know works. Once you’ve compiled a list of what you’re considering the best lawn care services near me, you may be wondering how to dig deeper and determine which one is really going to be the best for you. With the use of the internet, you can use several approaches to narrow down your choices. For one, you can take some time exploring each of the companies’ websites to learn more about them. Read through their “About Us” page and find out what they have to offer. You should also peruse their service offerings and make sure they have what you need. Besides these first two stops on a company’s website, you will also want to dig a bit deeper and see what kind of information they have to offer. Do they provide regularly updated content, such as blog articles? If they do, then you know they’re a company that cares about keeping their clients in the loop and providing useful educational content. In addition to doing some research on their websites, you can also use “social proof” to narrow your choices. This includes client reviews in which others have rated and reviewed the company’s work. 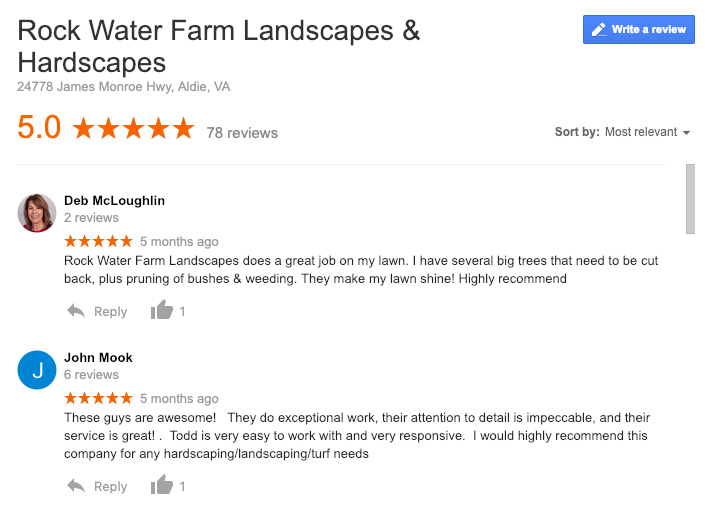 Let’s look at some of the reviews for the companies that we found in our own search of the best lawn care services in Ashburn, Aldie, and Leesburg, VA. In addition to the rating that the company has received on a five-star scale, we have also included the number of reviews as this is an important fact to take into account as well. A high rating for a company that only has a handful of reviewers doesn’t mean quite as much as a high rating from a company with many reviewers. While it may feel time-consuming on the front end to perform this research, you’ll thank yourself later when you make a good choice in lawn care companies. After all, you want to invest wisely. The last thing that you want is to feel as though you threw your money away on results that were sub-par. By investing in a great company with reliable and effective lawn care services, you can get the results you’re after and feel good that you’ve chosen a company you can stick with for the long-term. Instead of being “back to square one” and having to seek out a new lawn care company, you can build a relationship that will give you peace of mind going forward. If you’d like to discuss lawn care services for your Ashburn, Aldie, or Leesburg, VA home, talk to an expert, choose a solution that rocks, and then get ready to see your lawn start looking and performing its best.